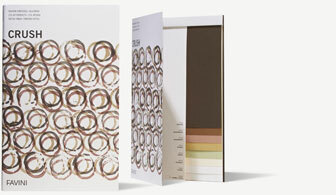 Coffee beans, almonds and olives – not a shopping list for your local deli but some of the latest “ingredients” in Crush, Favini’s latest paper range. The Italian manufacturer is one of the increasing numbers of companies exploring wood-free sources to create more eco-friendly papers and Crush also makes use of kiwi fruit, hazelnuts, corn and oranges. Favini are no stranger to innovative materials having recently released their Shiro Alga Carta range containing algae from the Venice lagoon! Setting a new bar for sustainability, Crush replaces traditional wood pulp with organic products – and it’s FSC certified. These replace up to 15% of the wood pulp with the by-products of fruits and nuts often used as fillers in animal feed or even destined for landfill. 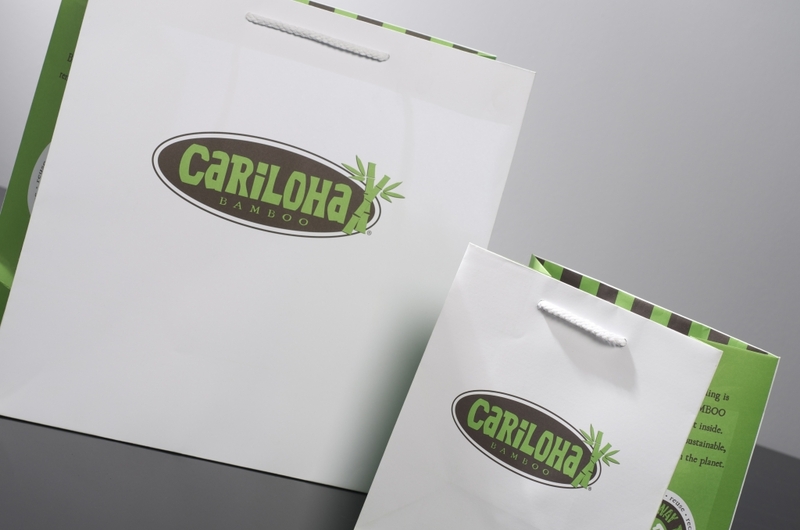 In addition these are supplemented by 30% post-consumer recycled waste, boosting its green credentials even further. 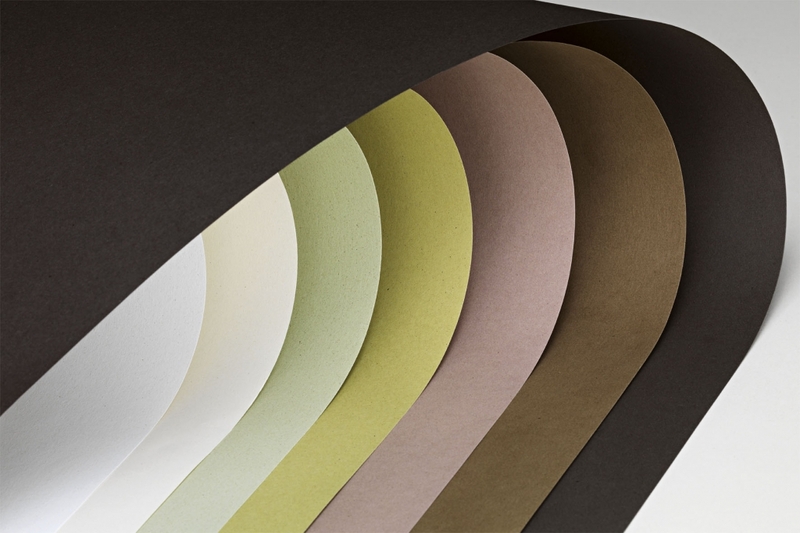 Favini say every paper in the range has its own unique texture depending on the raw materials. Described as “high fashion, inspired by nature” the colours reflect these materials too, with a warm and contemporary natural palette and a distinctive flecked appearance. Four grammages of 120, 200, 250 and 350 gsm have been optimised for packaging, making Crush suitable for luxurious packaging and shopping bags as well as labels. Having taken over 18 months to develop, produce, test and patent, Crush is manufactured at Favini’s Ronssano Venato facility where their hydroelectric plant provides 100% green energy. 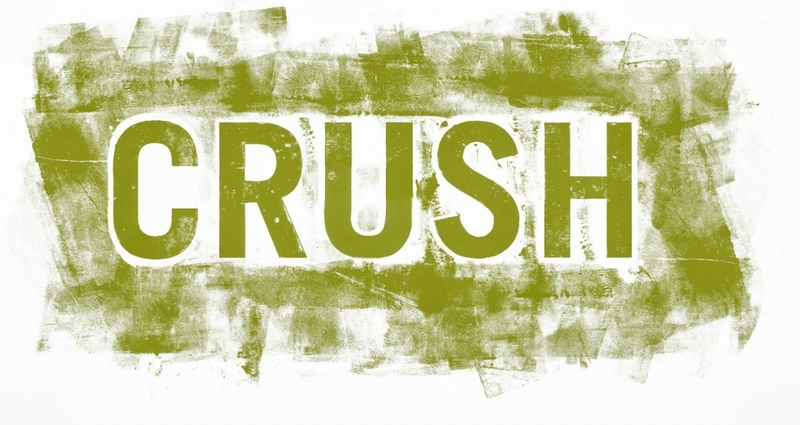 A recently completed Life Cycle Analysis by an accredited independent consultant found that Crush’s carbon footprint is 20% less than paper made with non-renewable energy and reduces greenhouse gases by 20% too. We’re already looking at paper made with bamboo, and sugar and we’ve even come across paper made from elephant and moose dung. Another remarkable development is Stone Paper, made of yes, you guessed it: stone! Using limestone and a non-toxic resin the manufacturing process is water, bleach and acid free and uses no wood pulp whatsoever. We’ve yet to see how some of these perform, and as packaging designers and manufacturers we have to assess the reliability of volume, supply and consistency. But this trend of exploring sustainable and innovative raw materials looks set to continue so we’ll keep you posted when we hear anything new.